Playing tax collector isn’t exactly what you signed up for when you decided to go into business. But when you provide a product or certain services to your customers, that’s exactly what states and many local taxing entities expect you to become. Sales tax collection, reporting, and payments can consume a great deal of your time, especially as your business expands across state lines or delivers across the internet. And the penalties for not getting everything right and on time can be severe. Avalara has brought together information from across the nation that saves you time and money with a one-stop guide to filing sales tax returns. The guide covers the basics of reporting sales taxes for any location and provides a state-by-state breakdown on deadlines, rules, and regulations plus information sources. Nexus is one of those words that has taken on a special meaning in the world of government and taxes. 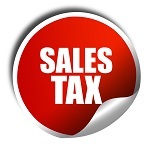 While Nexus simply means a connection or link, in the world of sales and use taxes, your nexus to a state or local taxing district determines whether you need to collect and pay sales tax to that state or district. The challenging part is that each state and taxing district gets to decide if you have nexus or not. At its most basic, you have nexus wherever you have a physical presence. For example, you have a store selling sneakers. You collect sales tax for that city and state. But, what happens when you have a website for your store and ship your sneakers all over the country. At this point, most states won’t say you have nexus, so you just need to pay the sales tax where you have your store. But more states are trying to claim those sales taxes, so they are trying to find ways to say you have a nexus in their state. For instance, if you ship through a warehouse in that state. Some states now are saying if you sell a certain dollar amount of products to that state, you have nexus and are required to collect and report that state’s sales tax. This can get even more complicated for a business such as a cloud-based software as a service (SaaS) provider where the “product” resides in the ether, and the user can be anywhere. As states continue to strive to meet their budgetary needs by expanding their definitions of nexus to collect more of these sales and use taxes, you will need to keep abreast of all these changes to ensure your company stays in compliance. The time-honored tradition of filling out a paper form and mailing it to the state or taxing entity with your check is rapidly becoming a piece of history. All states now offer electronic filing and payment systems, and some even require all businesses to file and pay electronically. Others require only large volume businesses to pay electronically, and some require only businesses with multiple locations to file and pay electronically. This hodge-podge of electronic filing requirements creates another complication you must stay aware of when your business crosses boundaries. Each state also will have different filing requirements and deadlines, depending upon the volume of your business. Businesses might be required to file and pay monthly, quarterly or annually. If your business starts small, it may be you only need to file annually, but as you grow the state will require more frequent filings. Some states also require pre-payment of sales taxes, based upon the previous year’s sales. Also, some large volume businesses have an obligation to make multiple payments per month. The reporting and payment due dates will vary from state to state as well. Generally, the dates are set around the 20th of the month, giving you ample time to compute your previous month’s sales, but those dates can shift if the deadline falls on the weekend or a holiday. Even if you have no sales in a given period, most states will require a zero-tax filing, or they will assume sales based on previous tax periods and send you a bill. States are quick to charge penalties when sales taxes are reported late. These often are based upon a percentage of the taxes due and the number of days late. On the flip side, some states will reward you with a timely discount (ranging from 0.5% to 5%) as an incentive to keep your filings ahead of the deadline. If you’d like to ease your headaches over sales tax filings, consider automating your sales tax reporting. 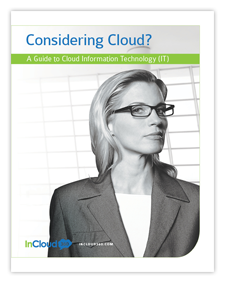 Contact us to learn how InCloud360 can partner with your company to make sales tax management a snap.